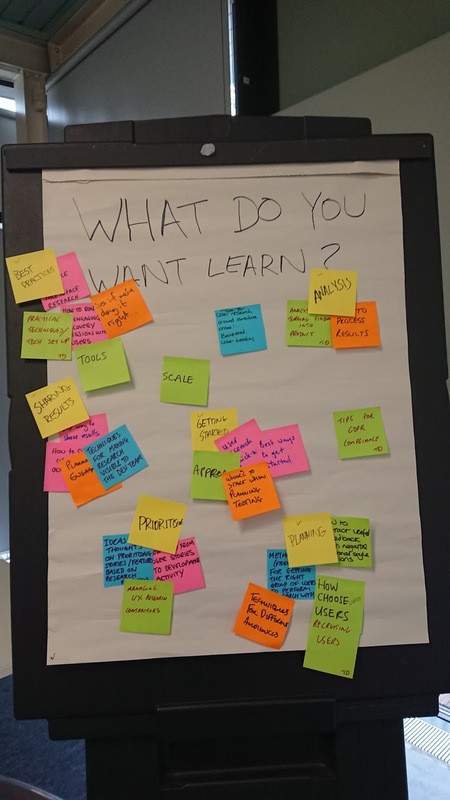 At the end of 2018, Andrew and I travelled to Bristol to run a full-day user research workshop for the LocalGovDigital South West Peer Group. LocalGovDigital is a network for digital practitioners in local government. The South West Peer Group has been set up to create more opportunities for local collaboration and discussion with neighbouring authorities. We met with people who worked in local government in Cornwall, Bristol, and Devon. What did the SW peer group want to learn? A lot. There were a lot of different things people wanted to know about. Thankfully we had the whole day to talk about them and run through a few activities. These are some of the main takeaways we shared. What does ‘good’ look like in user research? User research is contextual and depends on your objectives, but here are a few principles we shared with the group. While these may seem like a lot of things, don’t feel overwhelmed by it! Starting to do user research is more important than planning for perfection. Do a bit of user research, adjust where necessary, and then do a bit more. Vita, another researcher on our team, has written before about how dxw digital do research and analysis and the importance of getting the whole team involved. This doesn’t just mean people who work for dxw digital, but our clients too. have a research wall to display research (in progress and completed) to make your research activity visible and easily accessible for others to engage in. If you don’t have a wall, make a wall! Working with local authorities to deliver good services is important to dxw digital and we were happy to make the trip from London to Bristol to spread the good word about user research.